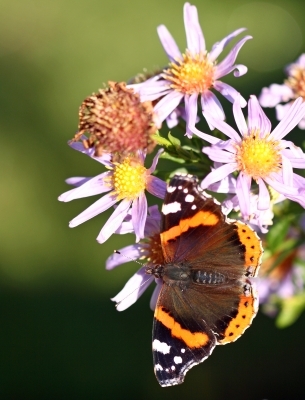 UK butterfly numbers are at a “historic low”, according to conservationists. The charity Butterfly Conservation issued the warning ahead of its annual survey, the Big Butterfly Count. Difficult weather conditions, including last year’s wet summer and the recent cold spring, have exacerbated population declines. But it is hoped that the hot start to July could help the insects to bounce back. “The washout weather of 2012 proved a disaster for our butterflies; these conditions, coupled with long-term declines, means there are probably fewer butterflies in the UK than at any point during my lifetime,” said Sir David Attenborough, the charity’s president. The Big Butterfly Count is a survey where the public are invited to record the insects flying in their local green space. They are provided with a chart of 19 common garden butterflies and 2 day-flying moths and asked how many of each can be spotted in 15 minutes. Last year more than 220,000 butterflies were counted with 15 of the 21 species declining compared with the previous year’s survey. This year’s cold spring led to butterflies emerging three weeks late but the recent heatwave could boost numbers. “This summer heatwave is the perfect tonic for Britain’s beleaguered butterflies,” said Butterfly Conservation’s survey manager Richard Fox. “The hot, calm conditions of recent weeks are ideal for butterflies to emerge, mate and lay eggs so we hope that their populations will start to recover and people can once more enjoy a profusion of butterflies in their gardens and the countryside. 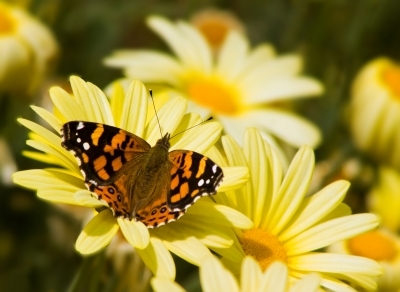 The Big Butterfly Count takes place from the 20 July to 11 August.